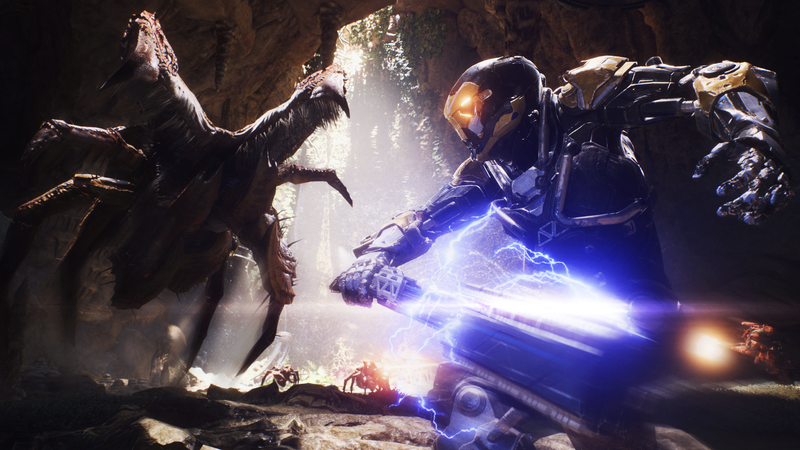 A monster from Anthem simulates what next February is going to try to do to your wallet. If you like playing a lot of big new video games at the same time, next February is going to be your month. As the flood of E3 press conferences washed over us these last few days, I and many others started to notice we kept hearing the same release month: February 2019. Seemingly every press conference had at least one major game announced for that month. Actually, three of the big games announced for February are coming on the same day: the 22nd. “More like February twenty-too much,” my colleague Nathan Grayson quipped in Slack last night. 4A games’ massive open-world FPS Metro: Exodus. Sony Bend’s ambitious PS4 open-world exclusive Days Gone. BioWare’s mega-hyped online loot shooter Anthem. That would be a lot of video games to deal with in a single month, let alone a single day. Takes me back to October 27 of last fall. But wait, there’s more! Microsoft’s long awaited Crackdown 3 is also finally coming out in February. As is Ubisoft’s Trials Rising, with their massive online RPG The Division 2 hitting just a couple weeks later on March 15. Additionally, on January 29, Kingdom Hearts III will make its long-awaited debut. Not quite February, but close enough. Taking into account that any games with currently vague “early 2019” release dates—Jo-Mei’s Sea of Solitude, maybe even From’s Sekiro: Shadows Die Twice—could also wind up coming out in February or thereabouts, it seems safe to say that the first few months of 2019 are going to rival that same period in 2017 when Horizon: Zero Dawn, Zelda: Breath of the Wild, Nier: Automata, Persona 5, and Yakuza 0 all came out within the space of a few weeks. It’s possible one or more of those games might get a delay, and the safest bet would be that Anthem gets one more short delay before it finally comes out. Even if that happens, next February is still gonna be a hell of a month for video games.